Both a fascinating account of Walt Disney’s own significant artistic creations, from the iconic Mickey Mouse to the groundbreaking Snow White in 1937, and an insightful history of the hugely successful entertainment behemoth he created, from Dumbo to Pixar’s Toy Story, as well as the hugely popular theme parks. 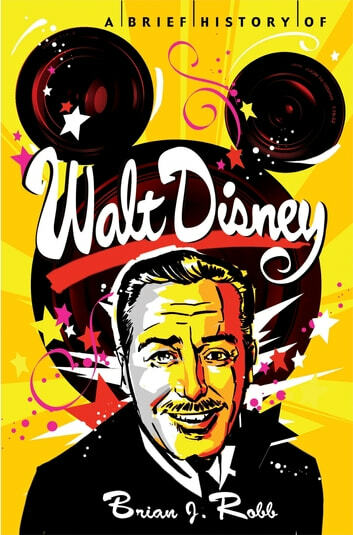 But Disney’s dark side is also explored: his disputed parentage; industrial disputes; his work for the FBI; and his anti-Communist and allegedly racist and antisemitic views. The company Disney built is today stronger than ever, encompassing not only the ongoing legacy of Disney animation, but also acting as the guardian of other well-loved creative endeavours, such as Pixar, The Muppets, Marvel Comics and now Star Wars. 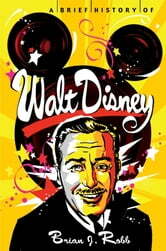 Sections include ‘Before Mickey: The Road to the Mouse House’, covering from 1901 to 1945 – the creation of Mickey Mouse, the creation of the world’s first full-length animated feature film, the Golden Age of animation and Disney’s help for the American war effort, despite labour disputes; ‘Disney Studios: The Disney Genius’ – difficult times, theme parks and television, live-action movies, including Mary Poppins; ‘Animation’s Second Coming’, from the Lady and the Tramp to The Sword in the Stone, and Walt Disney’s death; ‘After Walt: The Disney Legacy’ – family attempts to keep the studio afloat, decline and the loss of lustre in the 1970s and 1980s; ‘Disney Resurgent’ – a triumphant rebirth under new management with Who Framed Roger Rabbit? The Lion King and other blockbuster hits; ‘From Eisner to Iger’ – the corporate battle for the soul of Disney; ‘Disney Goes Digital’ – from Pixar to Star Wars, via Marvel Comics and The Muppets, Disney buyy up other studios, themselves often enough inspired by the original.